A set of landmark child protection policies and guidelines was launched in Manila on Thursday to help public and private schools address bullying and other forms of child abuse, violence, and exploitation. The policy guidelines are the work of the Department of Education (DepEd) and civil society groups, teachers' groups, private and public school representatives, international agencies, and child protection advocates. “The objective of the policy is to observe and promote zero tolerance on any act of child abuse, exploitation, violence, discrimination, bullying, and other forms of abuse in school,” DepEd Secretary Armin Luistro said at the launching Thursday. One of the highlights of the policy is the creation of a Child Protection Committee in all public and private elementary and high schools. Luistro pointed out that every child is protected by the Constitution from unfair and adverse treatment, whether physical or emotional. Under the 1987 Constitution, the State shall defend the right of children to assistance, proper care and nutrition, and special protection from all forms of neglect, abuse, cruelty, exploitation, and other conditions prejudicial to their development, he said. The policy guidelines listed specific acts that constitute child abuse and violence that public and private schools can use as a guide in addressing what the DepEd called a "silent but very real social problem." Also, the guidelines aim to protect children from all forms of violence committed by adults, persons of authority, and classmates, including bullying. 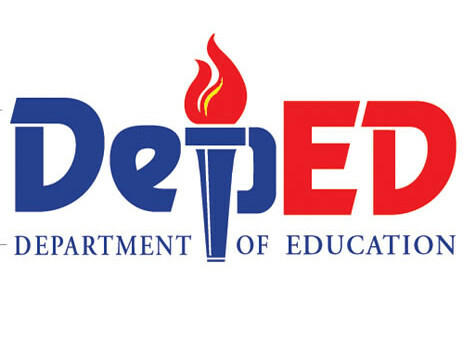 The guidelines said among the duties of the DepEd are to develop information, education, and reporting systems on how to exercise disciplinary action and recommendations to address and prevent all forms of child abuse. The child protection committees (CPCs) in schools will include school officials, teachers, parents, students, and a community representative. Each CPC will draft a schoolchild protection policy with a code of conduct and a plan to ensure child protection and safety. This policy will be reviewed every three years. “The CPC needs the cooperation of all education stakeholders because what is at stake here is the welfare of the child and the stability of the community,” Luistro said. Luistro added that the schools shall take charge of helping school personnel, students, and parents understand and deal with child abuse. This can be done through training workshops and seminars on positive peer relationship and enhancement of social and emotional competence. He urged the use of training modules tackling positive and nonviolent discipline in the classroom, anger and stress management, and gender sensitivity. He added that schools should employ various means to enhance the skills and pedagogy in integrating and teaching children’s rights in the classroom.